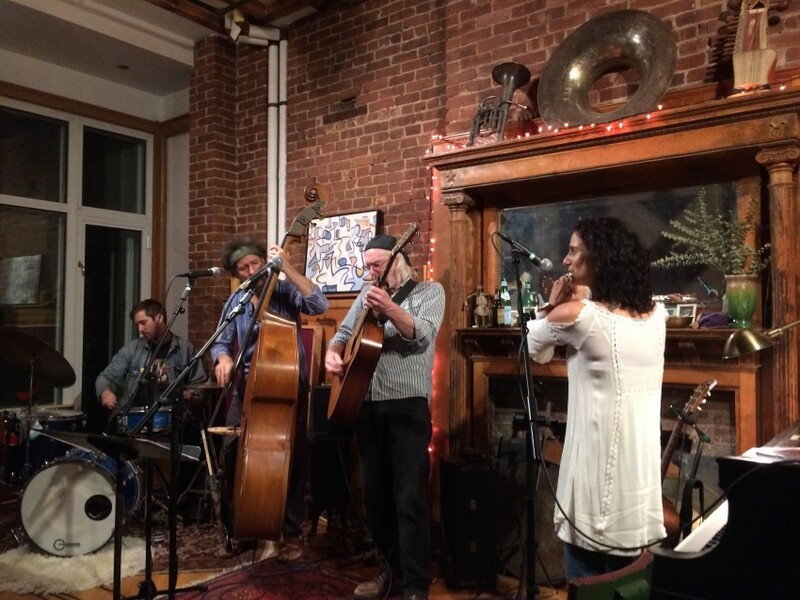 Bob playing house concert in Manhattan. Laughing Waters with our fiddler. Laughing Waters is an Austin based indie band of very talented, seasoned musicians blending & bending genres from reggae to afro to rock to folk, country & swing. LW offers up finely crafted originals, as well as a variety of fun loving rocking and swinging dance tunes. This is truly a fun & inspiring band, infectiously danceable. 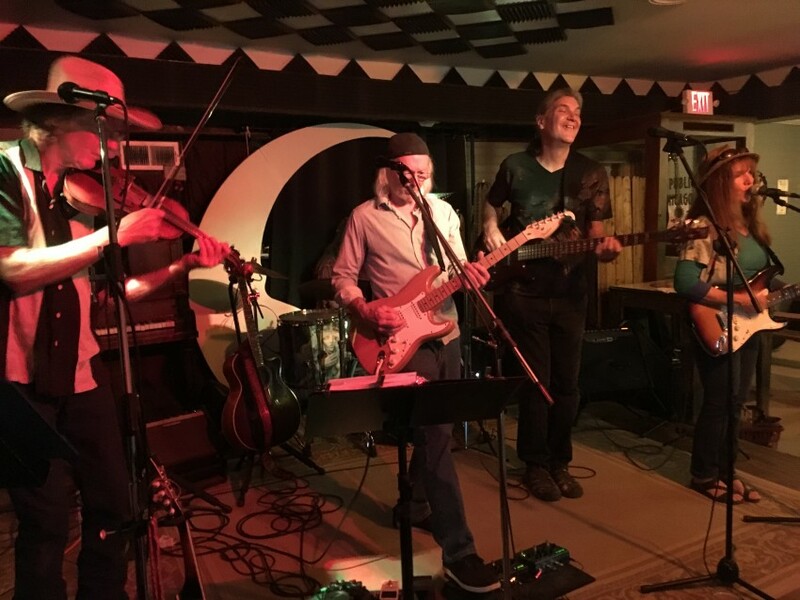 Because we play in a variety of genres, we can tailor our shows to be in the reggae/world beat realm or bring our fiddle player &/or our mandolin/ lap steel player & do a country/swing/blue grass type of show, or mix it up & do an eclectic night of music depending on what the party/gig calls for. No matter what genre, Laughing Waters is a ton of fun. We can tailor fit our show to your needs. From mellow, harmonious music for dinner time to fun loving dance tunes in the country/swing vein or a one love reggae/afro vibration. 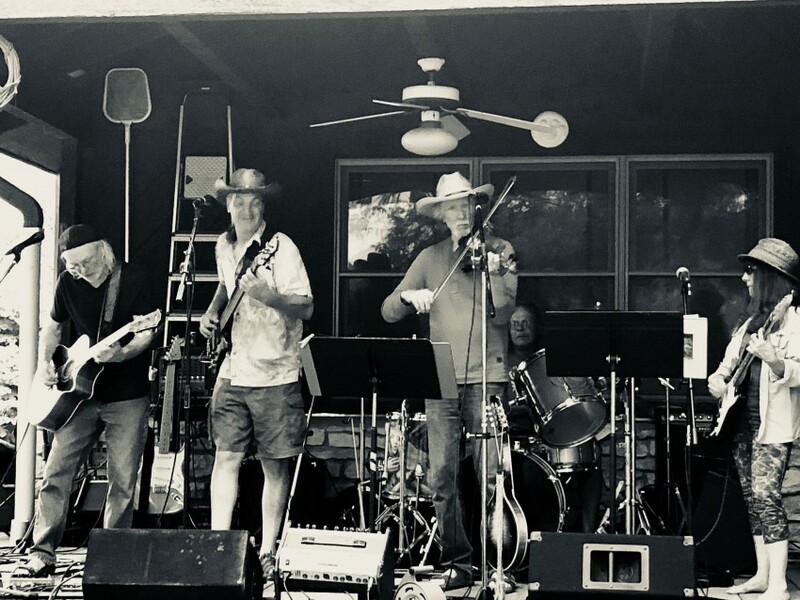 As Bob develops his solo career, he is playing with some talented & seasoned musicians in the fun loving band - Laughing Waters, a popular Texas Hill Country band. 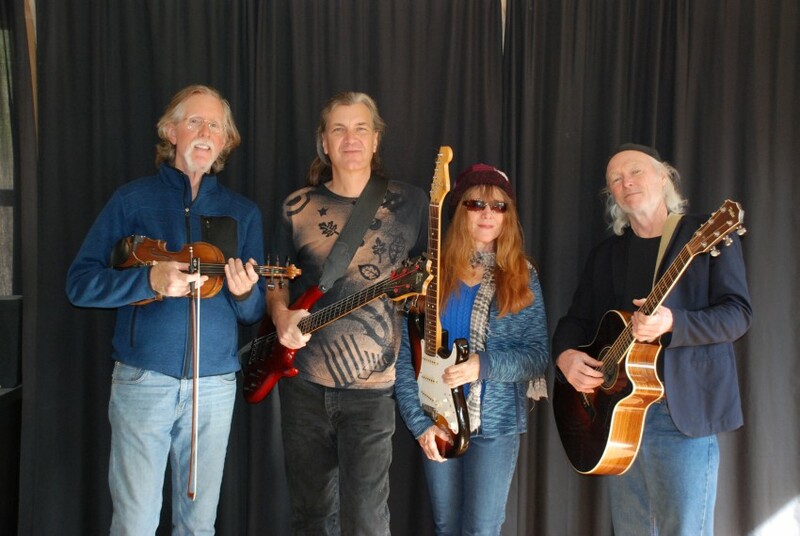 The core of LW is a trio: Bob Slaughter (acoustic guitar), Lynette Perkins (electric guitar) & Mark Sebly (bass). Other members include: Jorge De Armas (drums), Mike Fowler (fiddle) & Richard Parke (mandolin, lap steel). Laughing Waters is eclectic. Whether they are laying down reggae & afro grooves or doing the Texas country/swing/bluegrass thing, LW is superb in its renditions of covers & with its finely crafted originals. Bob is a prolific song writer. His 4th studio album "We Are Water" was released in the Spring of 2017. Like his previous album, "The River Knows", this new release boasts amazing performances by some of the most talented players in central Texas. Bob is in the studio working on his next album to be released in early 2019. Bob travels in & out of state as a solo artist, playing concerts, house concerts & popular venues. Bob Marley, Sting, Van Morrison, Peter Rowan, Jack Johnson, Glen Hansard, Leonard Cohen, Willie Nelson, Miles Davis, Jaco Pastorius, Bela Fleck, The Beatles, Bruce Cockburn.